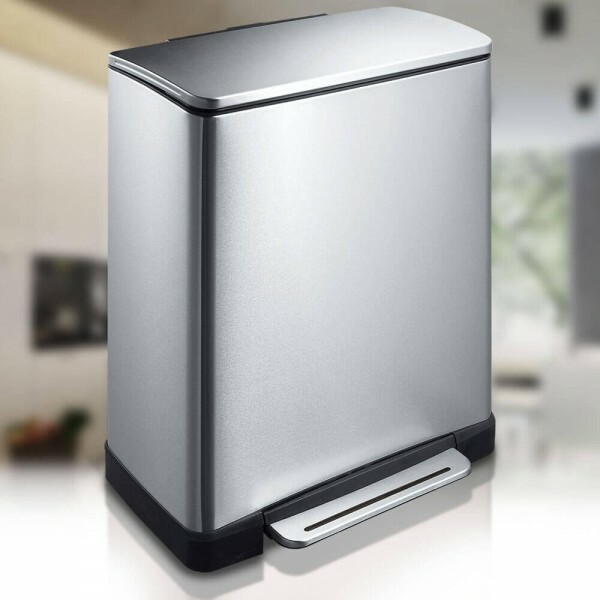 The dual compartment 28L plus 18L pedal activated recycling rubbish bin is an innovative design, retaining the stylish qualities of the E-cube series this bin comprises two bins in one, an ideal solution to recycling quickly and easily in the home or workplace. The 28 Litre and 18 Litre Double Compartment E-Cube Series is a great recycler pedal bin for a small kitchen. Keep your general waste separate from your recyclable waste and you'll find that small bins will do just fine. If you need to stand and spend a minute sorting rubbish, there is a 'Stay Open' switch so that you don't need to lean your foot on the pedal.